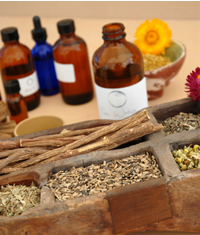 Helping the body deal with chronic stress is the very definition of an adaptogenic herb. Anything that causes a change in your life whether good or bad, causes stress. Even imagined change is stress. (Imagining changes is what we call "worrying".) Holidays like Thanksgiving ,Christmas and New Years can add emotional and situational stress that is aggravated by anxiety and unrealistically high expectations. A relaxed state of mind and spirit in integral to how you feel physically. Stress releases all kind of nasty chemical reactions into your bloodstream that worsen physical pain and cause chronic disease symptoms to worsen. Even thinking about major life changes cause stress, imagining change is called 'worrying'. Our atavistic fight-or-flight response served us well when being chased by mammoths, but isn't much use when stuck in a traffic jam. When stress and emotions are running high, worries about family, work or financial problems seem to mount up, just when you can handle it the least, your body seems to pile on. Then one day, you finally connect the dots and see that you are literally worrying yourself sick. Take time to chill out, break the cycle of crazy and blend your own stress buster herbal teas. 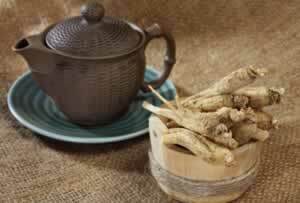 Helping the body deal with chronic stress is the very definition of an adaptogenic herb, and ginseng may be the most effective herb in this category. Eleuthero restores overstressed adrenal glands, working wonders for people who are chronically stressed. Use stevia in tea blends to eliminate the need for sugar, which can be draining on nerves. Phytochemicals in Ashwagandha seem to mimic gamma-amino-butytric acid (GABA), a naturally occurring substance in the brain whose role is to decrease the effect of stimuli that reach the brain. Lavenders soothing, sedating phytochemicals readily absorb into the skin, including the sensitive membranes inside the nose. That's why even the scent of lavender tends to calm and relax. Sandalwood, frankincense, and lemon are all considered to be very calming and grounding, helping us to achieve the meditative conductive to reducing stress. Among its many medicinal benefits, licorice is considered an adrenal tonic, in particular, it increases production of the very chemicals that aid in the body's recovery from chronic anxiety and stress.